Used doesn't mean useless. Photo Credit: Lauren Jong. 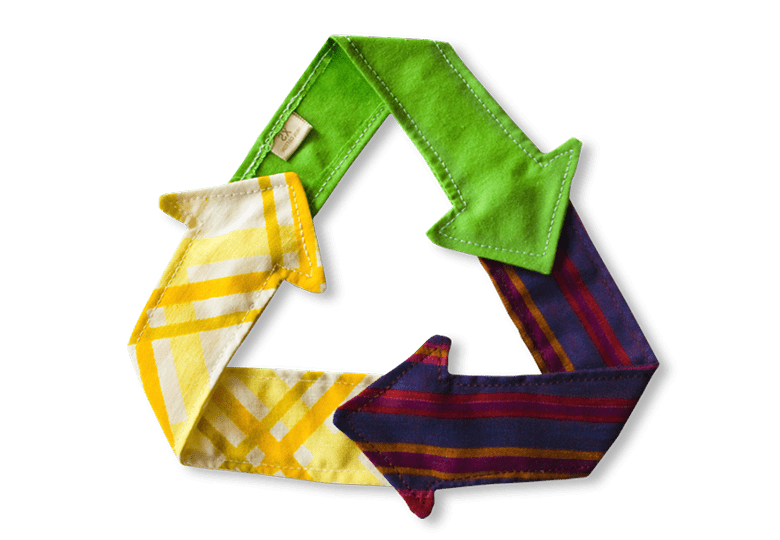 We’ve been hearing a lot lately about how we can reduce our impact on the planet in every-day ways, like refusing a straw when visiting a restaurant or boycotting single-use plastic, but one thing we don’t often think of when we hear the word sustainable is the clothing we wear. The fashion industry has crept under the radar for some time now with single-use plastics on the front lines of conservation-motivated boycotts, but another way that we can make a positive, simple change is to rethink the way that we purchase clothing. In the United States and abroad, consumers have been trained to think of clothing and current trends as temporary and even disposable. With big corporations mass-producing cheap goods that cater to the latest style, it’s easy to be of the mind that we can buy a shirt, wear it a few times, and then replace it with something new in a few months. The average consumer in 2018 purchased 60% more clothing than he or she would've bought in the late '90s, meanwhile, each garment is kept for only half as long. 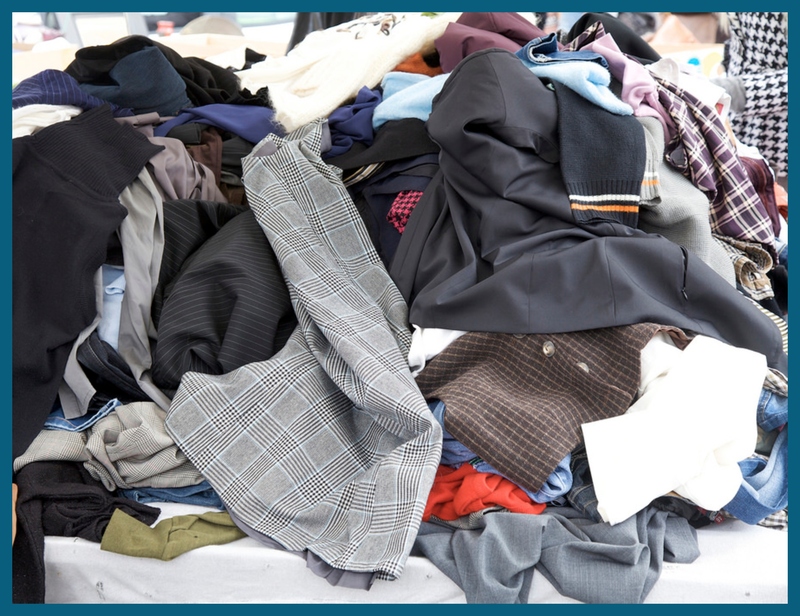 To top it off, a staggering 40% of garments purchased are never even worn before they're thrown out. This speaks not only to the amount of consumer waste that is created each day but also to our obsession with stuff. 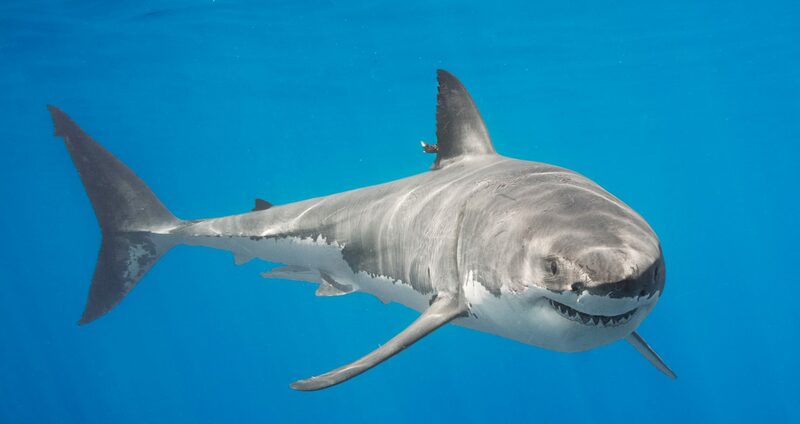 To make just one t-shirt, it takes around 718 gallons (or 2720 liters) of water. If the average person were to drink 64 ounces of water per day, it would take them almost four years to drink that many gallons! If this level of consumerism continues, it will only be about fifteen years until we are forced to choose between fashion and clean drinking water. According to sustainable clothing nonprofit, Remake, garment production alone contributes "more greenhouse gas emissions than the international shipping and aviation industries combined." Another rising problem is that with modern technology, most of our clothes are now made with some form of plastic or other non-biodegradable material. Most of these synthetic fabrics will sit in landfills all around the world for the next two hundred years or more. In other words, if a polyester shirt is thrown out today, it will likely survive our offspring's offspring's offspring. Another problem that these synthetic outfits pose is that each time they are laundered, micro-fibers are washed down the drain, in turn traveling via our rivers and streams, out to the ocean, into the bellies of marine animals, and often, onto our plates. -Shop for new clothes and other items less frequently. -For every five new articles of clothing purchased, consider donating three old pieces to your local second-hand shop. -Purchase clothing made of natural materials such as cotton, linen, or denim versus acrylic, polyester, or nylon, to name a few. -Consider buying second-hand products when it allows. 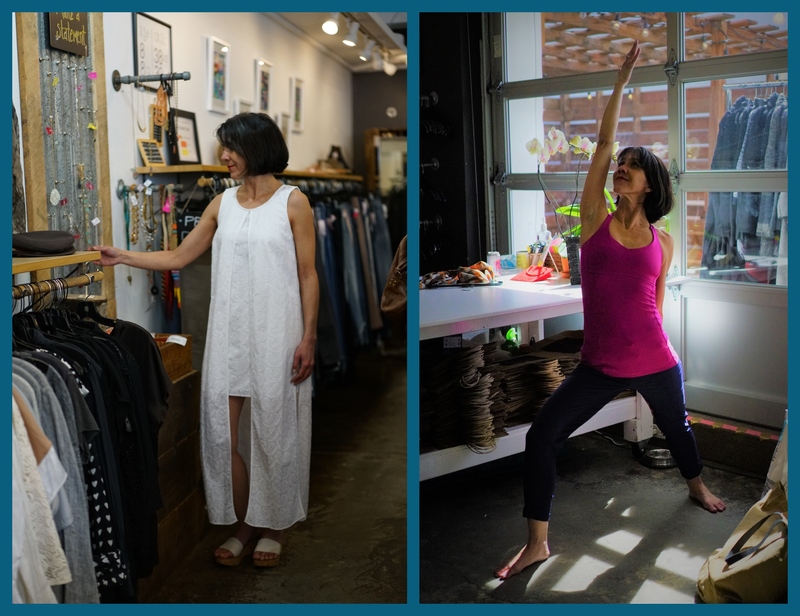 To encourage others to take action against wasteful fashion, a group of ocean advocates and OFI volunteers spent a morning visiting some local thrift stores, in search of some fun second-hand outfits. Check out our finds at Boulder's Common Threads below! (Left) Lauren Stovall, modeling a cotton dress, is ready for a night out on the town. 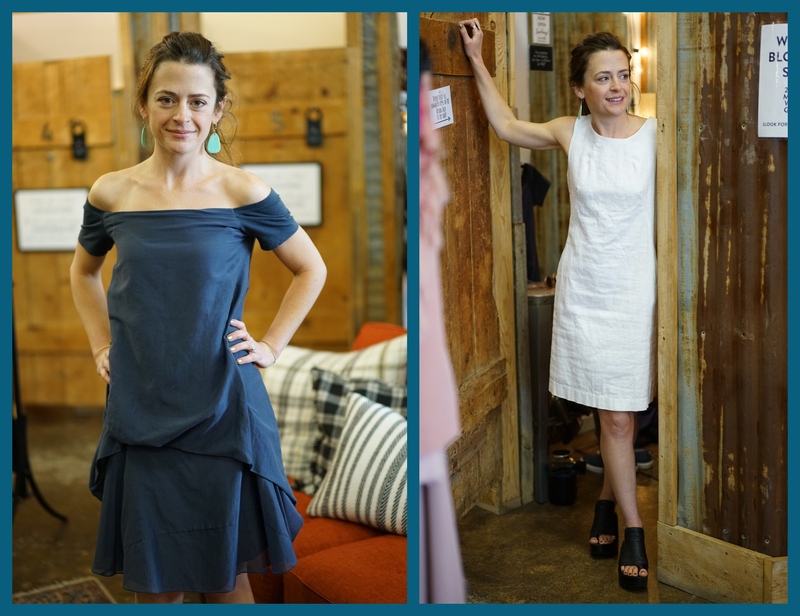 (Right) Lauren tries on a pre-owned linen dress and upcycled leather platform sandals. Photo Credits: Lauren Riegler. (Left) Rebekah Hartman, checking out the make-a-statement wall, is dressed for a perfectly warm day in a light cotton dress and upcycled sandals. (Right) Rebekah is ready for a yoga session modeling some comfy athletic wear. Photo Credits: Lauren Riegler. 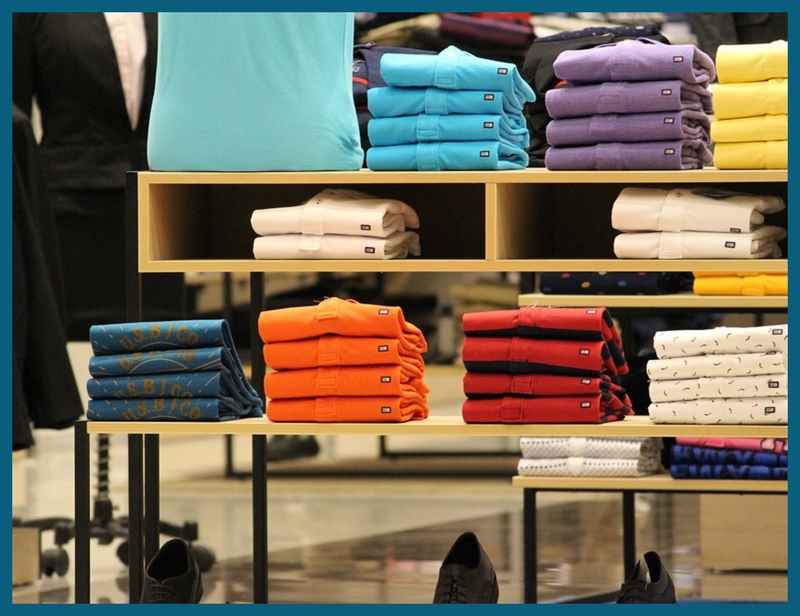 As shoppers, we only experience the final product, folded neatly on a shelf or hanging delicately on a rack under immaculate lighting. We never get to witness the full life-cycle of the garment, pre-showroom. When we make a choice to buy second-hand goods, not only is it better for the environment, but we also get peace of mind knowing that our dollars didn't contribute to poor work conditions and low wages. In addition, buying second-hand is the most budget-friendly way to shop, so it's a win-win! Rethinking the way we shop is one of the many ways we can come together to make positive change for our planet Earth and the ocean. 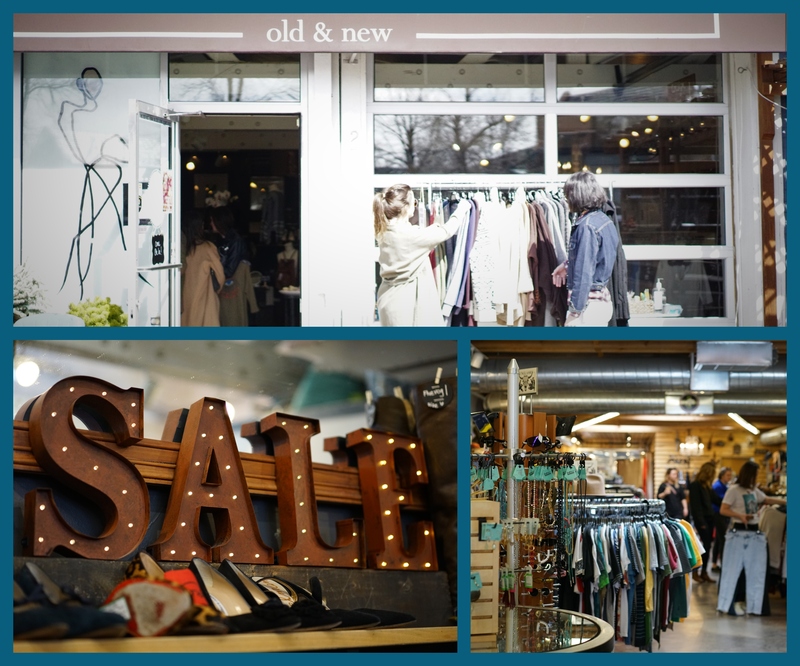 Check out the local thrift stores near you! (Top and Left) Common Threads. (Right) Buffalo Exchange. Photo Credits: Lauren Riegler. Guest blog post by Lauren Stovall, Boulder-based ocean advocate and volunteer with Ocean First Institute. Special thanks to Lauren Stovall and Rebekah Hartman for modeling ocean friendly choices!